We're talking 19 seconds vs. 5+ minutes. The first query returns all 9000 records. How is only picking up the top 500 ridiculously longer? 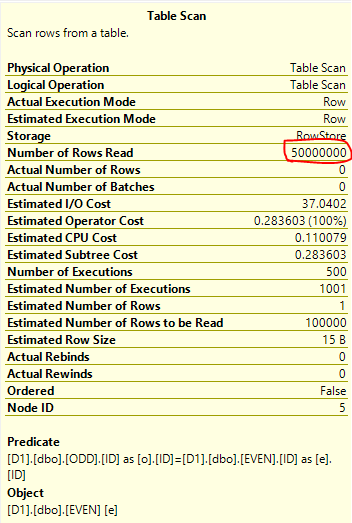 Obviously, I'm going to look at the execution plans here ---- but once I figure out why SQL Server is running the "top 500" in suboptimal fashion, how do I actually tell it to run the plan the quick way, like taking the full table? Of course, I may have to rewrite the view entirely --- but quite odd. Basically, I'm connecting this data table to a 3rd party software that pre-checks tables with a default select top 500 * query that cannot be modified. So other than dumping this view into an actual table (quite sloppy) - I can't get around their "top 500" addendum either. This is SQL Server 2012. EDIT: Disagree on the duplicate flag. The other question, the top was FASTER than all. This would be the EXPECTED behavior, returning less rows. My case is the opposite. Also, my understanding is that Top 100 is a different algorithm than Top 100+. I don't even think the duplicate question has the correct answer. Which is, the TOP X query will SORT potentially massive tables very early on, not AFTER they are aggregated/ filtered/ etc. The why is a mystery, but the how is plainly there. Adding a TOP clause to a query introduces a row goal to the query. The query optimizer will attempt to use the fact that it doesn't need to return all rows to create a more efficient query plan. The row goal can cause the cost of some operators to be scaled down. The row goal optimization can work against the favor of the query tuner due to model limitations or incomplete information in statistics objects. Below I have a demo against a simple view for which adding TOP 500 degrades performance. First insert only odd integers into a table. Note that I'm gathering statistics in full at the end. Then insert only even integers into a different table. I'm doing some things with repeated values and row size to make the demo work. I still update statistics in full at the end. This query executes in less than half a second on my machine. Only 100000 rows are read from the EVEN table. For SQL Server 2016 and later versions you can work around this issue without changing the view's definition by adding OPTION (USE HINT('DISABLE_OPTIMIZER_ROWGOAL')) to the query. That hint disables the row goal optimization at the query level. For SQL Server 2012 you can use trace flag 4138 at the query level via OPTION (QUERYTRACEON 4138), but that requires SA. I can't say anything about your query in particular without seeing the query plans, but hopefully this example illustrates the general point. Not the answer you're looking for? Browse other questions tagged sql-server query-performance select execution-plan top or ask your own question. Why would SELECT * be magnitudes faster than SELECT foo? Why is it faster to do four simple selects instead of one select with left joins? Why is Oracle SQL slower than cursors? Why is a COUNT query faster than a result set query?